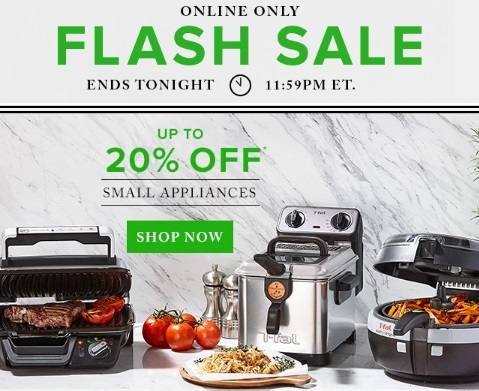 Hudson's Bay has a hot Flash Sale today to save you on cookware and small appliances! Save up to 20% off small appliances, up to 60% off cookware and up to 30% off dining! Offer is valid online only today, Wednesday March 15, 2017.